Home Match The Villa Appetiser – Laudrup’s Changes & Relegation Equation. Swansea Match Preview. 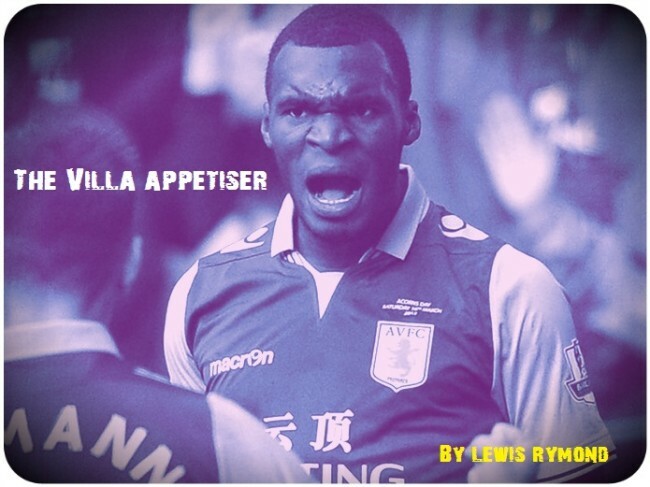 The Villa Appetiser – Laudrup’s Changes & Relegation Equation. Swansea Match Preview. “At the moment there are nine teams with five points between them, then you have West Ham on 14 and Sunderland on 13. “Of those 11 teams, three will go down and eight will play for ninth to 17th in the table and we have to fight for those places. “It’s a team in and around us in that section of the league. “We have no time to dwell on it because there’s a quick turnaround. We have to go again on Saturday. “There’s no point wilting. I’m disappointed – in fact, I’m the most disappointed person in the stadium – but you pick yourself up and you lift your head. “The way you bounce back is by winning – that’s what you have to do. With early season optimism at a high, Villa pulled off a good result against an in-form team with an excellent strike from Lowton and a debut goal from Benteke. Jonjo Shelvey – raised the eyebrows of Swans fans when he was signed but has chipped in with goals and assists over the last few games. Gives the Swansea midfield creativity. These are worrying days for Villa Park. Another poor performance on Boxing Day, in what was the easier fixture out of the two games in two days, has caused concern. It’s not just home form that is the problem, we’ve lost four consecutive Premier League games. If we lose against Swansea it will be the first time we’ve lost five in a row since 2001. Swansea are boosted by a few returning players from injury: Chico Flores, Ben Davies, Jonathan de Guzman, Pablo Hernandez and Wilfried Bony are all in the frame to return. Bony (Swansea’s top scorer), could give Villa’s makeshift defence a nightmare. There are a lot of problems with Villa at the moment, and it’s difficult to see the positives, especially with the (justified) discontent of the fans. A decent performance and result, however, will certainly take the edge off a little. We have won games in which we had a small amount of possession and lost against Palace when we had the majority. Swansea will no doubt have the most possession on Saturday though. A performance to stop the rot is probably all we can hope for. Swansea were very impressive last year, but the Capital One Cup holders have been slightly burdened by the Europa League during this campaign. Relegation won’t be a worry for Laudrup’s side, but they’re only a point ahead of us, and haven’t won in their last five games in all competitions. And while Villa’s players have had the comfort of consecutive him ties in terms of travel commitments, Swansea face their second game on the road. Although Laudrup with shuffle his pack with the aforementioned returning players, key Swansea players such as Michu, Michel Vorm and Nathan Dyer, will all be missing, helping to counter the loss of Benteke and Vlaar for Villa. Coupled with their historically poor form at Villa Park, fortune could afford Villa a much-needed win to help combat Villa’s recent woes. UTV.